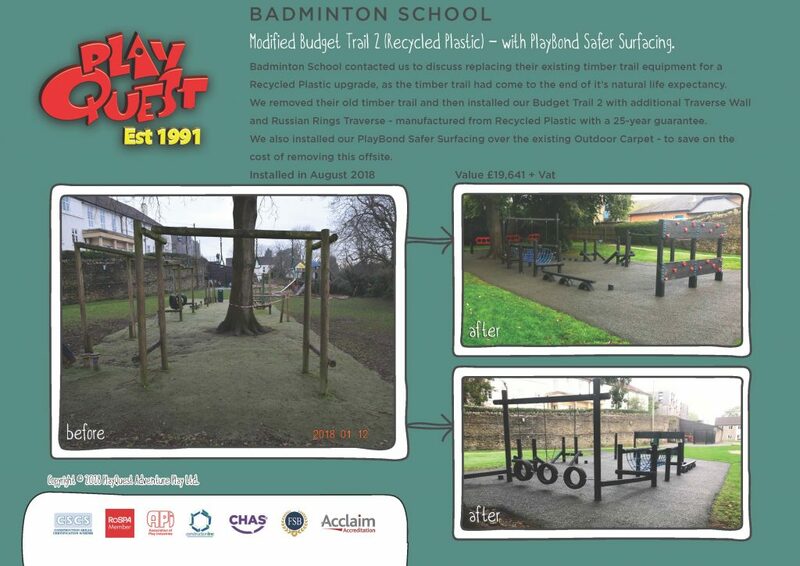 Badminton School contacted us to discuss replacing their existing timber trail equipment for a Recycled Plastic upgrade, as the timber trail had come to the end of it’s natural life expectancy. We removed their old timber trail and then installed our Budget Trail 2 with additional Traverse Wall and Russian Rings Traverse – manufactured from Recycled Plastic with a 25-year guarantee. We also installed our PlayBond Safer Surfacing over the existing Outdoor Carpet – to save on the cost of removing this offsite.